Disneyland is full of magical moments but nothing is more exciting than getting a chance to meet Mickey Mouse and his sweetheart Minnie Mouse. Mickey and Minnie are not shy about greeting their adoring fans, followers, and friends. When visiting Disneyland, whether you are young or old, getting to see and say hello to Mickey Mouse is always a highlight of the day. 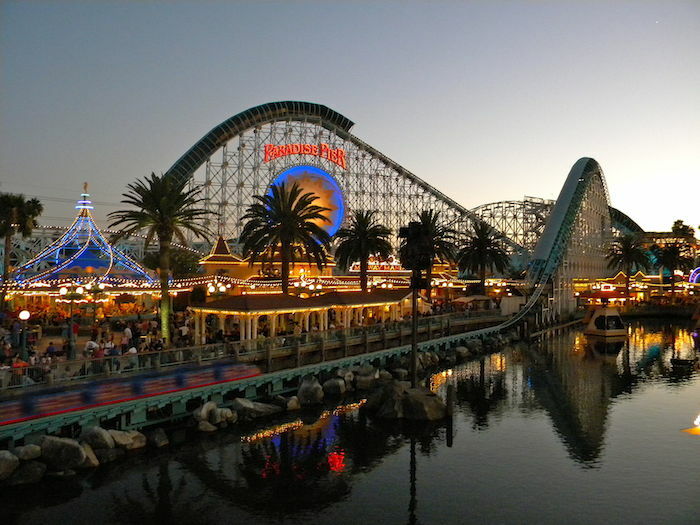 On the night before you are planning to visit Disneyland, you can hardly sleep. Like a child waiting until morning to unwrap gifts from Santa, going to Disneyland is equally exciting. Your imagination takes over as you anticipate the amazing day that lies ahead. In just hours you will pass through the gates of the theme park and into the Wonderful World of Disney. Of course it would be fun to see Goofy or Tinker Bell, and you’d love to meet Donald and Daisy Duck, but the real thrill would be to meet the most famous couple in all of Disneyland. It is understandable that your heart is set on meeting Mickey Mouse and his girl, Minnie Mouse. Will you get to meet the world’s most famous mouse? How will you meet him? One way to increase your chances of meeting your favorite Disney character is to show up in areas that Mickey is known to frequent. Mickey spends a good portion of his day in the Town Square on Main Street. If you are looking down at your map of the theme park and feel a tap on your shoulder, don’t be surprised if it is the white-gloved big hand of Mickey. A scream of delight is likely to follow when you turn around and come face-to-chest with the iconic Disney character. Mickey or Minnie probably won’t sneak up behind you and make you scream with surprise. More likely, you’ll see them in some of their favorite hangouts. Mickey has a pretty busy schedule. He usually appears in all of the theme park’s parades and in Fantasmic, the nighttime spectacular. You might also catch him leading the Disneyland Band or up on stage in a performance of Mickey and the Magical Map. Minnie Mouse is often seen in Town Square along with Mickey. You might notice her in a pink polka-dot dress around her home in Toon Town. The happy-go-lucky couple are the true ambassadors for Disneyland. Mickey Mouse was an animated character who was brought to life in 1928 by Walt Disney. Mickey was a replacement for Disney’s earlier creation, Oswald the Lucky Rabbit. Shake hands with Mickey and you’ll notice he only has three fingers and a thumb. This was done intentionally by Walt Disney who famously said,”Artistically, five digits are too many for a mouse, it would look like a bunch of bananas. Since Mickey spoke his first words, there have only been a handful of people who have voiced the high falsetto voice of Mickey Mouse. Walt Disney was the original voice and he passed the torch to Jimmy MacDonald in 1946. After he retired, MacDonald was replaced by Wayne Allwine (Allwine’s wife Russi has been the voice of Minnie since 1986). Upon his death in 2009, Wayne Allwine was replaced by Bret Iwan, the current voice of Mickey. In 1934, a 40-foot high inflated Mickey Mouse floated down the streets of New York in what is now known as the Macy’s Thanksgiving Day Parade. Holding the ropes that kept Mickey from flying away were men and women dressed as Mickey and Minnie Mouse. On November 18, 1978, Mickey was honored by being the first animated character to ever receive a star on the Hollywood Walk of Fame. Minnie grew up on a farm and her parents were both farmers. They gave her the name Minerva. She was originally voiced by Walt Disney and for a short time, Judy Garland (Dorothy in the Wizard of Oz) was the voice of Minnie Mouse. Minnie and Mickey were never married. Do you have a great picture of Mickey Mouse and Minnie Mouse? We would love it if you would share your Disney experience (twitter @AnaheimExpress1) and the candid photos you may have of Mickey and Minnie. Thank you so much for sharing the use of your photos and letting others see your artistry! March 27, 2015 in Disneyland. Tags: Anaheim, California, Disneyland, Disneyland California, Disneyland Resort, Mickey, Mickey and Minnie, Mickey Mouse, Minnie, Minnie Mouse, Photos, Selfie, Souvenir, tourism, travel, Walt Disney.